The Mining, Resources and Energy sector experienced the largest advertised industry job growth this year, according to job-hunting website SEEK. The number of roles advertised in April rose 55 per cent compared to 12 months ago according to a company press release. This growth in opportunity will see a raft of new workers enter the industry who may be inexperienced with mining's challenges, especially operating trucks over long distances on deliveries. The mining industry have some of the strictest health and safety compliance rules in Australia, safeguarding against the dangers and challenging conditions typical of everyday work. Luckily, Pinpoint Communications have vehicle telematics solutions that can improve driving conditions for mine workers, with advanced GPS technology guiding them through remote locations on transportation journeys and safety features ensuring they are well monitored by fleet managers. Truck drivers face numerous hazards on journeys, no matter the distance. There are currently over 260 mines and other mineral, oil and gas operations spread across Australia, according to the Department of Industry, Innovation and Science. These sites are often in remote locations, meaning drivers have to navigate extreme environmental conditions daily. Indeed, before drivers even leave their worksite, they face significant hazards, including cramped driving conditions, haphazard equipment and uneven surfaces. In fact, 27 per cent of truck-related fatalities between 2003-2012 occurred before disembarking from the worksite according to a WorkSafe Australia report, showing that drivers need to be wary behind the wheel at all times, not just when journeying on public roads. Arming drivers with accurate data on how to safely navigate these issues is vital. From recording optimal speeds for navigating uneven surfaces to GPS technology feeding into driver awareness of the surrounding area, incidents can be made more preventable when using Pinpoint's vehicle telematics for mining operations. 27 per cent of truck-related fatalities between 2003-2012 occurred before disembarking the worksite. Once drivers leave the worksite, their isolation becomes more obvious. Often hundreds of kilometres removed from urban settlements, drivers face numerous challenges in ensuring they stay on the right route and remain alert for hazards. 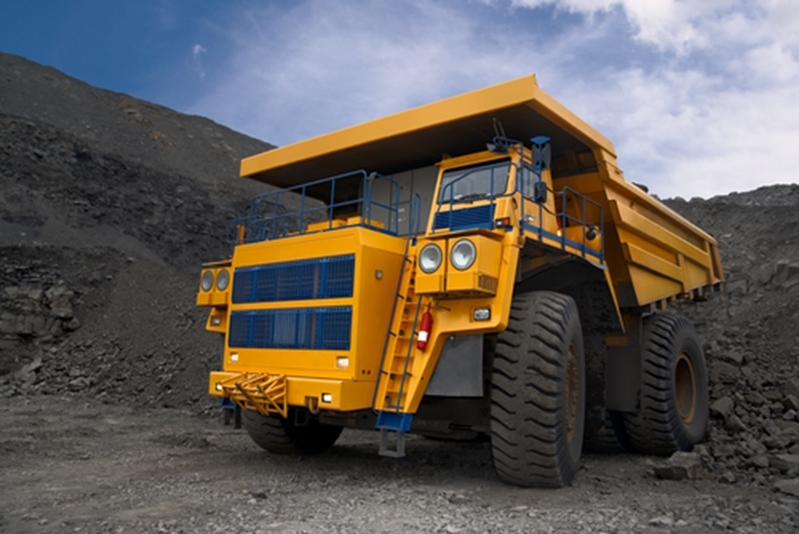 Our In Vehicle Management Systems (IVMS) software is designed for operation in the mining industry, ensuring drivers have the most relevant GPS data and risk reports to aid in their route planning. The IVMS fulfills several functions catering to improved health and safety and better driver behaviour, including clear display of routes and speed limits, real-time information of hazards or road delays and monitoring driver habits within the cab. This data is processed through a centralised command unit, ensuring managers are aware of drivers' progress. These are the kind of remote roads mining drivers typically have to navigate. Occasionally, your truck driver could be forced to stop their journey in a remote location due to unforeseen operational circumstances. This can prove dangerous to both their safety and potentially costly to the compliance record of mine operators. Thus, it is imperative you ensure that drivers are always able to make contact with fleet managers regardless of location or conditions. Pinpoint's Mobile Man Down duress software is able to emit a GPS signal to your journey management console, where the signal is monitored until help can be dispatched. Your driver's safety is your peace of mind, and guarantees they will never be left in hazardous conditions. Mining drivers have to operate in some of the most remote conditions in the country, driving thousands of kilometres with little human contact. In order to ensure their health and safety in challenging operational conditions, speak to us today about how we can help. 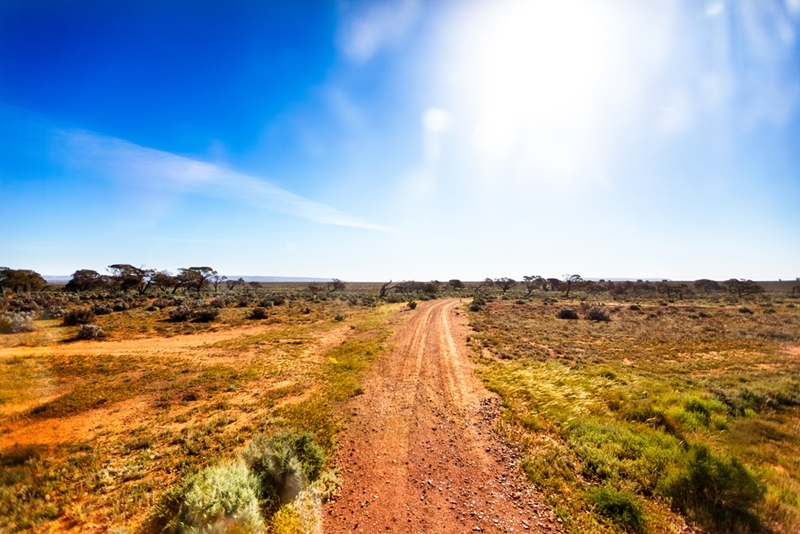 Pinpoint's vehicle telematics and GPS solutions have been aiding mining operations and fleet managers nationwide since 2000, ensuring the safest possible driving conditions when journeying through rugged and hazardous conditions around remote Australia.